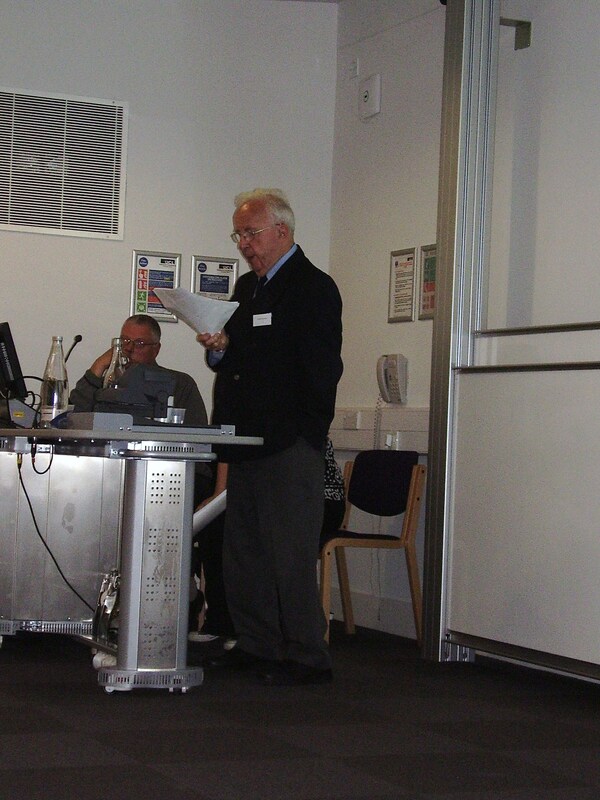 16th June saw the 4th annual Community Archives and Heritage Group (CAHG) conference. 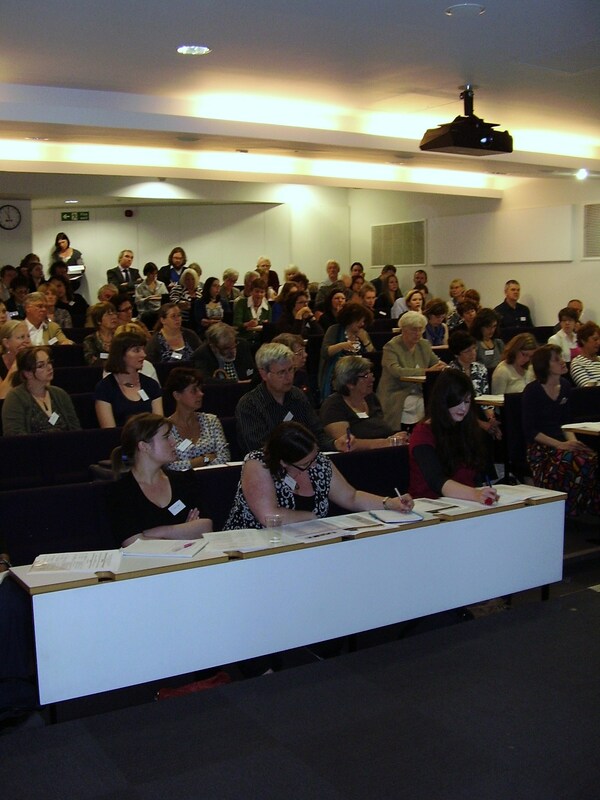 Under the title “Sound and Vision: Our Audio-Visual community heritage”, the event was co-hosted by the University College London Department of Information Studies; the packed lecture room received a warm welcome from Professor H. R. Woudhuysen, Dean of the Faculty of Arts and Humanities at UCL. The keynote address from Carole Souter, Chief Executive of the Heritage Lottery Fund, stressed that the field of Community Archives was one that particularly resonated with the HLF and would continue to get support, particularly for projects which involve volunteers, conserve the UK ’s diverse heritage and help people to learn about their own and other people’s heritage. Souter then went on to outline some Do’s and Don’t’s for potential applications, as well as looking at some previous successful projects funded by the HLF. 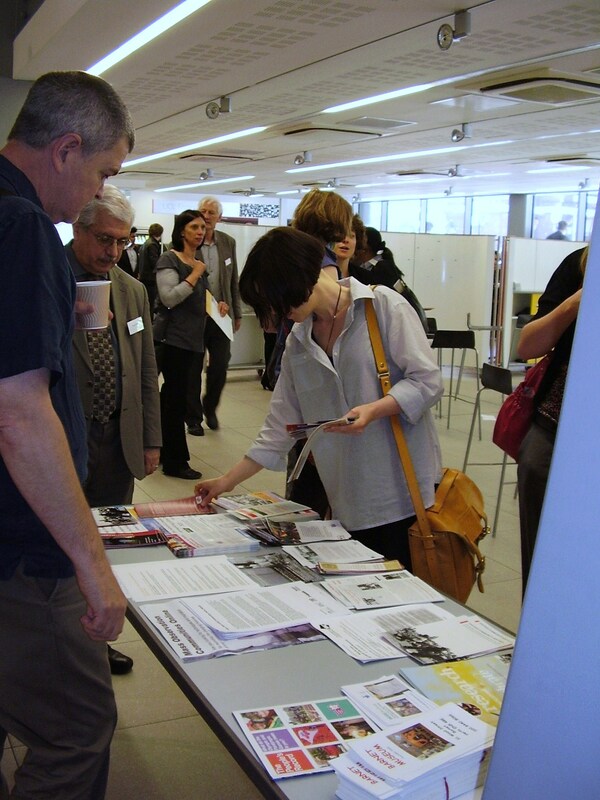 She encouraged the audience to consult the HLF website for further guidance. The second session began with a presentation from Sarah Lowry of the Foundling Museum on “Managing Oral History Projects”, which detailed her work with the Refugee Communities History Project. The talk highlighted the power of oral history projects to inspire and motivate communities and individuals. By working with the community the project was able to provide fieldworkers with post-graduate level training in collecting and presenting oral histories and produce exhibitions, films, art installations and a website. Lowry observed that consultation, knowledge of what skills were required and realistic time and financial planning were key elements for a successful project delivery. Patricia Collins, Peter Coombes and Mary Rowe of Swaffam Community Archive then discussed the digitisation of magic lantern slides from the 1930’s taken by Reverend Edward Outram. Using a flatbed scanner they were able to digitise slide images and invite the local community to identify individuals pictured within the photographs. These digitised images were then made into a digital slideshow, put to music and shown at a local venue, where extra showings were required to meet public demand. Funds raised at the showings allowed the project to be taken out to care homes and schools. In the aftermath of the shows, further links were made with family history researchers, Scouts and Girl Guiding communities outside the local area. To close the morning session Judith Garfield of Eastside Community Heritage spoke about the groups numerous projects. Since 1993 they have been able to work with over 1000 community groups from East London . She suggested that the key elements of successful projects were: a clear community vision, strong and agreed partnership agreement, local knowledge, a heritage and education focus and the inclusion of wide range of communities. Speaking of the “Working Lives of The Thames Gateway project “ she also observed that the timing of projects was also key to their success, particularly in communities facing rapid change. The session closed with a film made by young people about the work of Slade Green Depot. Lunchtime provided the opportunity for spirited debate amongst the delegates as well as the chance to network and view further film clips from various projects featured in the day’s presentations. The afternoon session began with a “Show & Tell” session which provided the opportunity to briefly showcase current work being undertaken by various groups in the field. This included the new Mass Observation Communities Online project aimed at inspiring and assisting people to record the changing histories of their own communities. A fascinating account was then given by St Luke’s Hospice in Harrow and Brent, which has created an archive to inform about the importance of community initiative in the provision of free care and to inspire other hospice developers. It was followed by a presentation by the Swadhinata Trust, an East London non-partisan secular Bengali group that works with young people to promote Bengali community history and socio-cultural heritage through the development of an archive. The “Remembering the Past, Resourcing the Future Project North Tyneside” also explained how a small community history organisation working mainly with older volunteers was able to engage with younger generations by creating “Memory Boxes” as a tool for learning. Joanne Anthony ( University of London Computing Centre ) then gave a highly informative presentation highlighting the challenges of securing our digital heritage, covering everything from the challenges of preserving information from websites to digital obsolescence and possible approaches for smaller archives to take regarding digital preservation. In closing she highlighted the fact that we should all take responsibility for digital preservation and aim for more joined up thinking in the area to ensure materials are safeguarded. This idea was also expounded by Trinity Community Arts Centre ( Bristol ), which advocates the use of open standards and technologies to allow communities to retain control of their own records, whether it is music, photographs or videos. St Helier estate (Surrey) Oral History Project then discussed how it will research, with the help of local volunteers, the memories of its oldest residents and construction of the estate initially built to re-home families from the slums of inner London . The Manchester Jewish Museum, which also promotes a wider message to all communities of tolerance and understanding, mentioned that it seeks support to fund the Auschwitz to Ambleside Project. The final presentation of the day saw James Patterson of Media Archive For Central England (MACE) highlighting the importance of the moving image as a familiar, accessible and engaging tool for communities. He closed proceedings by talking about the new “Full Circle Project”, which is seeking to encourage and support 60 community groups across in the Midlands to search for local film footage to inspire local communities about the wealth of heritage available through film.